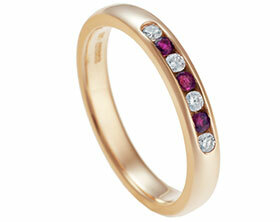 This beautiful 9ct yellow gold eternity ring is approx 3.5mm wide and has a soft d shape profile. 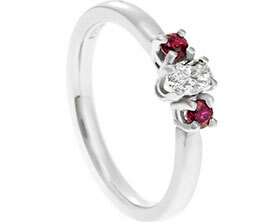 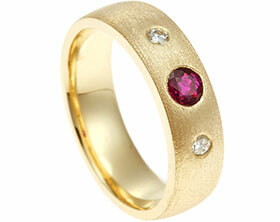 At the front of the band a total of nine brilliant cut rubies and diamonds have been pave set graduating in size from 2mm at the centre to 1mm at either side.To finish the ring has been polished to a high shine. 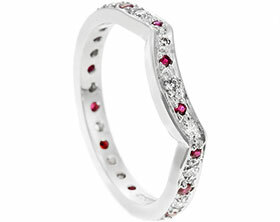 18ct white gold diamond and ruby eternity ring. 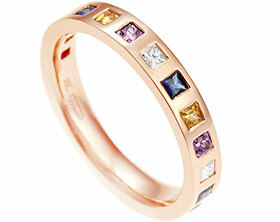 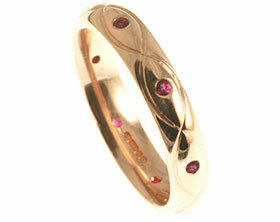 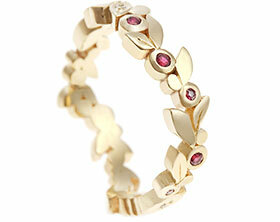 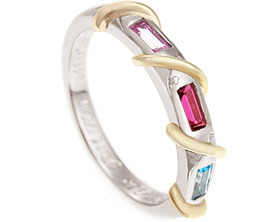 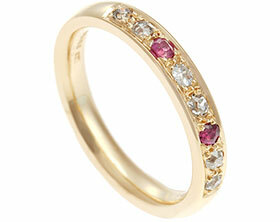 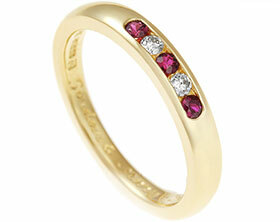 Bespoke 18ct yellow gold diamond and ruby eternity ring. 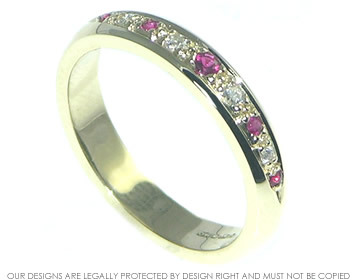 Palladium eternity ring with seven 1.75mm 0.20ct rubies and one 1.75 0.02ct H SI diamond invisibly set and evenly spaced all the way round. 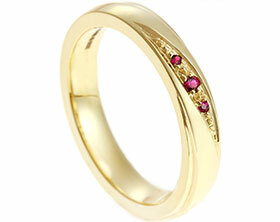 Bespoke 18ct yellow gold eternity ring with central 4.8/4.9mm 0.44ct H SI diamond and two mm brilliant cut rubies totaling 0.24cts.